Our October Business of the Month in Manchester is Manchester Mart. They are one of the first businesses you see when you get off the Thruway. Manchester Mart is convenient to everyone in the community and those just passing by. 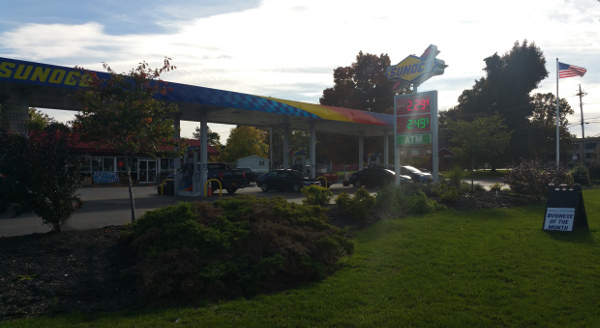 They offer Sunoco gasoline and deisel and just built an expanded deisel area to allow more trucks to get in and out easily. Besides fuel, they have the deli inside which serves pizza and sandwiches. Stop in today to try their breakfast pizza or any of the other refreshments they have to offer. Manchester Mart is located at the corner of Routes 96 and 21 in the Village of Manchester.